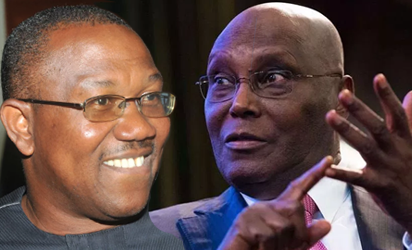 Awka- THE Anambra State branch of the Association of South East Town Unions, ASETU, has endorsed the candidature of Alhaji Atiku Abubakar and Mr. Peter Obi of the Peoples Democratic Party, PDP, for Saturday’s presidential election, citing the party’s promise to restructure the country as its reason for doing so. In a communiqué issued after an extraordinary meeting in Awka, ASETU also condemned the call for the boycott of the polls, arguing that such a call was not in the best interest of the Igbo nation. President General of ASETU, Mr. Jimmie Asoegwu , the secretary, Prince Nezianya Obinabo and nine others from the three senatorial zones of the state, who signed the communiqué, expressed optimism that a restructured Nigeria would benefit the entire country. The communiqué read: “In conformity with the stand of the national body of ASETU and that of Ohaneze Ndigbo, we are in total support of Alhaji Atiku Abubakar and Mr. Peter Obi following their decision to restructure Nigeria in line with what was obtainable at Independence as demanded by the generality of Ndigbo, both home and abroad. “ASETU also condemns in its entirety the call from certain quarters for the boycott of elections because doing so will be counterproductive from achieving our set goals. “As custodians of our communities’ interests, the Anambra State branch of ASETU shall ensure the success of this project by ensuring that Anambra electorate troop out en masse wherever they reside, to vote for Atiku/Obi ticket.